Gina Dunham began making soap as an alternative to harmful ingredients and a solution to her daughters skin ailments—using goat milk as the main ingredient, she soon found they would need more space to provide for a growing line of all-natural, family-made goods. 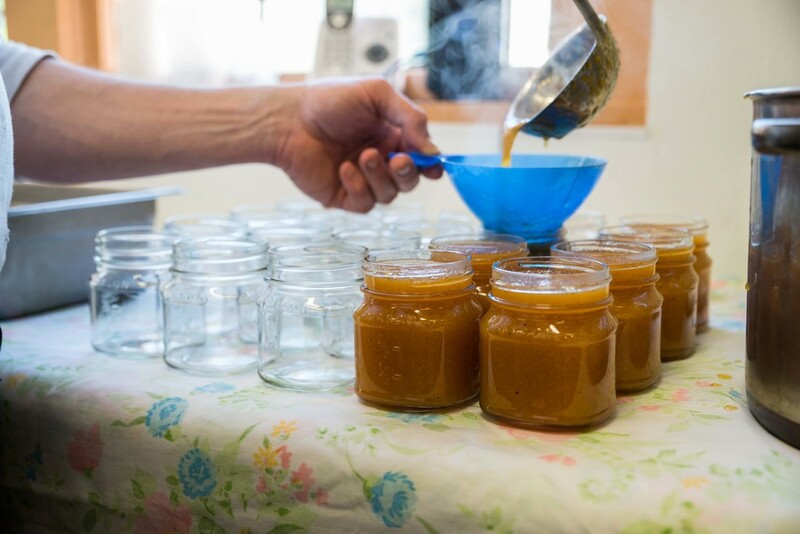 Now, the wife-husband team at Naked Goat Farm creates naked products for every need. 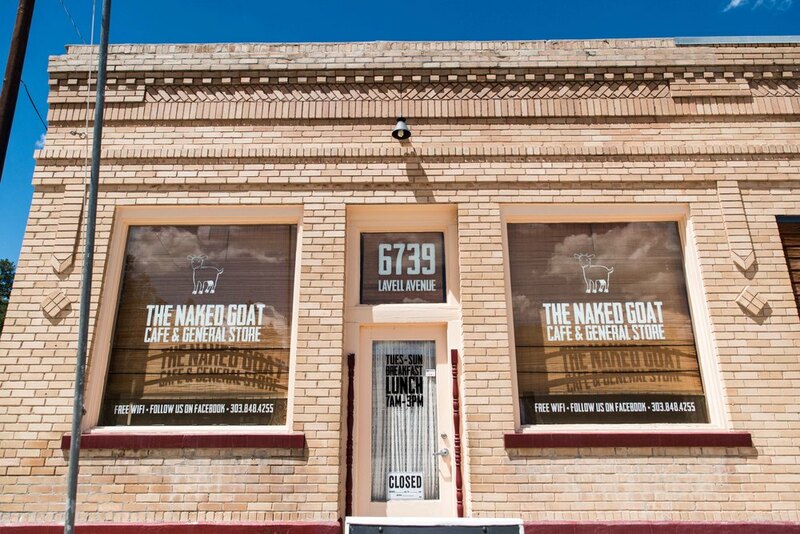 What does NAKED GOAT FARM mean to you? Our company is our way of life—we live at Naked Goat Farm, and it's where it all begins. We raise the animals and plants with the help of our whole family—really, our company is about family. Soaps and more crafted at 7200 feet. Jams and jellies produced (and sold) out of a Elbert, CO general store. WHAT PRODUCT STARTED IT ALL? That would be the soap. It all started with me losing my job at the same time my daughter was having skin rashes and losing her hair. After many tests and hearing she may have alopecia, I started doing intense research on the problem. I discovered that what could be causing the issue is the body products she was using every day. Sure enough, after switching her to soap made by me using simple, natural ingredients, her rashes went away and her hair started to grow back. Then I started making all of our family's body products. HAVE YOU ALWAYS HAD YOUR OWN FARM? My husband grew up in a little farming community in Kansas, and I grew up on a farm in Idaho—we're both very familiar with farming and animals. I was working as an interior designer when I lost my job due to the the recession. After realizing it might be a while before people wanted to buy expensive furniture, I decided to make soap. I bought a spot at a local farmers market and started selling it—as I started making more soap and body products, we realized the small garden we had wasn't big enough for the goats and all the healing herbs we wanted to grow. We started looking for property with some land, and our search lead us to Elbert County. Naked Goat Farm was born there. WHAT DO ALL OF YOUR PRODUCTS HAVE IN COMMON? Our name came to me when a lady with super sensitive skin commissioned me to make her a soap with goat milk. That batch of soap named our company. It was perfect going forward in our vision of our new farm—everything we do is naked from how it's grown to how we make it. We make sure all ingredients are naked. WHAT'S IT LIKE WORKING AS A HUSBAND-WIFE TEAM? It's great most of the time. I'm not going to lie—sometimes we do fight about business decisions—but I think the most important thing to remember is that those arguments are work-related and shouldn't be taken personally or affect your relationship as a couple. You have to learn to separate the two and remember it's just work. It's great to work with your best friend who is like-minded. Everything we do is naked, from how it’s grown to how we make it. We make sure all ingredients are naked.